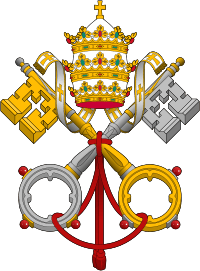 He was made a cardinal and the Archbishop of Milan by Pope Lucius III. 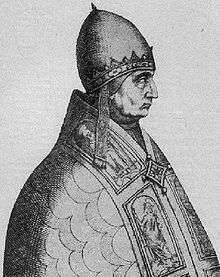 His original title is unknown, but he opted to be the Cardinal-Priest of San Lorenzo in Lucina in 1182. He eventually succeeded Lucius III on 25 November 1185. He vigorously took up his predecessor's quarrels with Holy Roman Emperor Frederick I Barbarossa, including the standing dispute about the disposal of the territories of the countess Matilda of Tuscany. 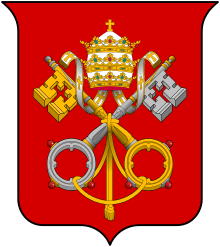 Even after his elevation to the papacy, Urban III continued to hold the archbishopric of Milan, and in this capacity refused to crown as King of Italy Frederick I's son Henry, who had married Constance, the heiress of the kingdom of Sicily. While Henry in the south cooperated with the rebel Senate of Rome, Frederick I in the north blocked the passes of the Alps and cut off all communication between the Pope, then living in Verona, and his German adherents. Urban III now resolved on excommunicating Frederick I, but the Veronese protested against such a proceeding being resorted to within their walls. He accordingly withdrew to Ferrara, but died before he could give effect to his intentions. His successor was Gregory VIII. 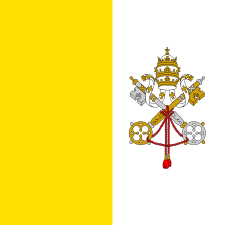 ↑ Duffy, Eamon, Saints & sinners: A History of the Popes, (Yale University Press, 2001), 392. ↑ Coulombe, Charles A., Vicars of Christ: A History of the Popes, (Citadel Press, 2003), 249.